I will be sure to post some pictures of my new beautiful sewing room as soon as I get it up and running. Until then I have my loom to keep me busy for the next week and a half. 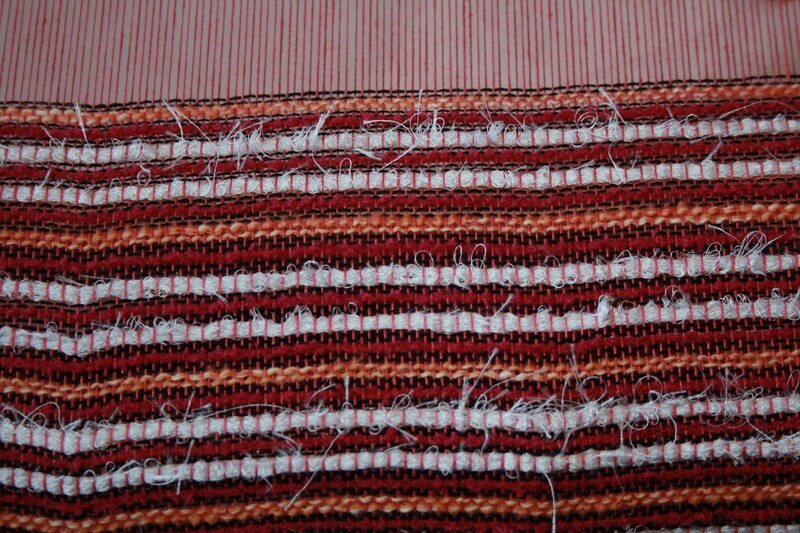 Here is a picture of a textile that I am currently working on. I plan on making my 6 yr old a dress out of it. Well that’s all for now. Back to the grind.